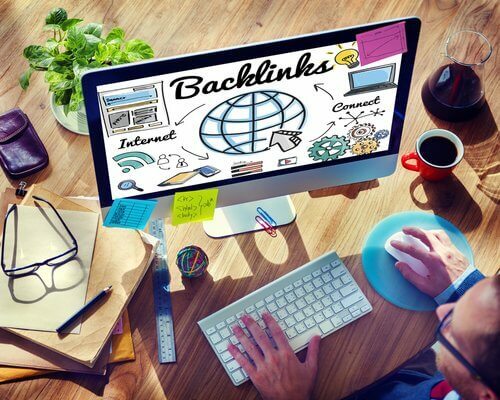 Backlinks are the backbone of SEO. Being able to get your links to your website or blog pages on similar sites can greatly increase your traffic, your ranking, and your conversions. Getting links can be challenging though. If your goal is to improve your rank on Google you need to have your links displayed on websites that carry weight. Obviously, you do not want to get involved with link farming or buying backlinks. But how do you naturally build up links to your website among reputable sites in your industry? One strategy is to directly contact websites in your category and offer links to relevant blogs. Here is a quick guide on how to ask for backlinks through email marketing. Most blogs on the topic of email marketing are going to offer up a template. Here is the problem, what is new, unique, and eye-catching today, is annoying and going straight to the trash bin tomorrow. You can get away with using templates for your emails that you send to customers (although that isn’t recommended either), but sending a run-of-the-mill email to someone you are asking a favor from is the quickest way to being ignored. Most templates also revolve around a certain level of superficial flattery that will tank your reputation in the recipient’s eyes. Be transparent, never say you read/liked content on their site, if you can’t back it up. Asking for backlinks can be a very time-consuming process. And in all honesty, you shouldn’t expect half of your emails to be responded to. Do your research. Choose targets that frequently update their website. Look for blogs that have similar topics like the one you are sending out. Look for websites that share other people’s content. If the website you have targeted only uses internal links, they are probably not going to set-up an external link. Asking for links should be treated the way you treat sales. You need to think about every element of your pitch. When is the best time to reach out to a prospect? Do you have connections you can lean on that make you less of a stranger asking for a favor (mutual friends, common interests, attended the same local business event)? Above all, whatever content you send them to check out, make sure it is your best. If you want to be successful in getting links to your site you need to make a good impression. To learn more about the importance of backlinks, and other SEO strategies take a look at our blog. If you want to improve your company’s digital presence ask for a free SEO consultation.